Healing Hands Medical Center was founded by Desiree V. Nugent ARNP BC in 2017. The goal of Healing Hands Medical Center is to decrease morbidity by the way of focusing on diagnosing and treating conditions of adults with Hypertension and Diabetes. 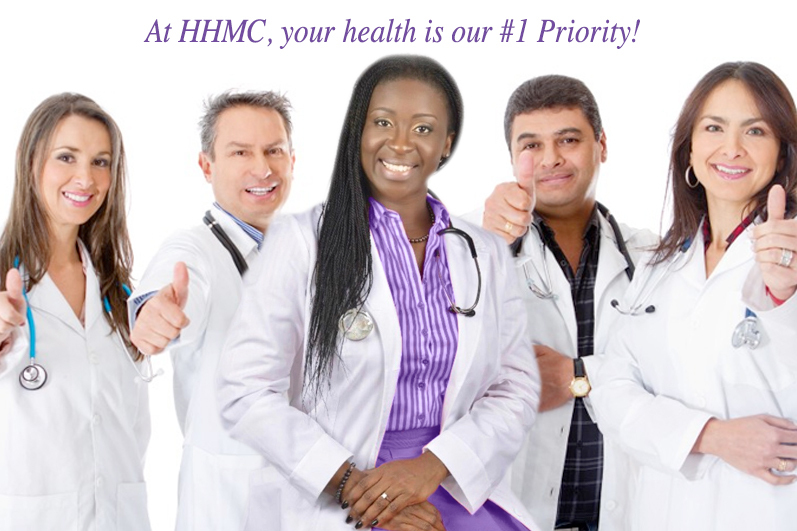 HHMC will heavily emphasize on preventative medicine and focusing on overall health and wellness of patients. Our focus is on primary and secondary work-ups for patients with newly diagnosed and difficult-to-control or resistant hypertension and diabetes. In addition, we provide evaluation of current treatment, education on lifestyle modifications, and cardiovascular risk assessment. Overseen by a board certified Nurse Practitioner who has extensive experience treating patients with a wide variety of complex problems. The mission of Healing Hands Medical Center is to ensure that the community have access to obtain quality evaluations, assessments, treatments, and education in which to decrease morbidity and mortality. The vision of Healing Hands Medical Center is to be a community voice promoting quality health care for all. we specialize in the Treatment of Hypertension and Diabetes that is difficult to manage..
Desiree is Amazing she helped me get started on a plan to control My cholesterol!